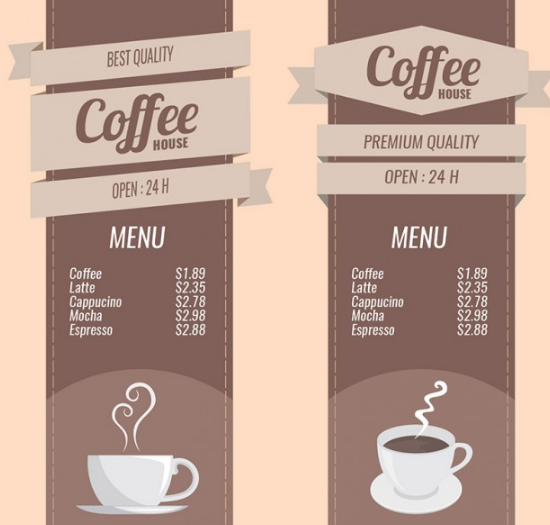 Are you looking for cafe and bar menu templates? 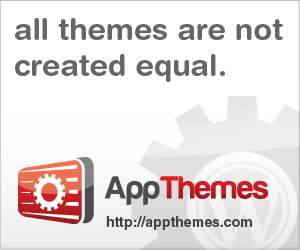 Create your own template design from scratch is tedious and time consuming task. 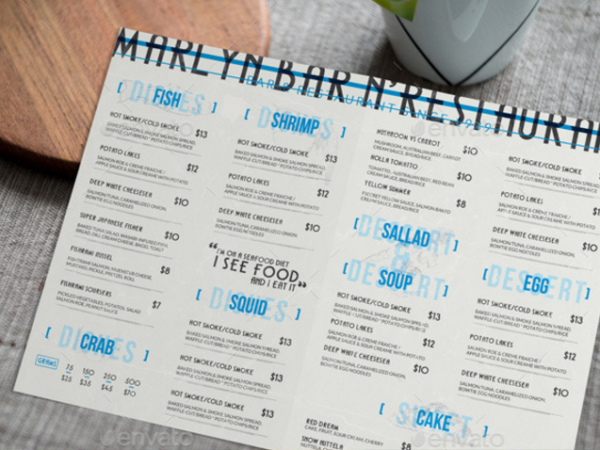 A premade template is the best solution for those of you who want to have a menu design for your bar, cafe, restaurant, pub and similar business in express way. On the internet you can find a lot of design resources that you can download for free, usually they are available in PSD and AI format. 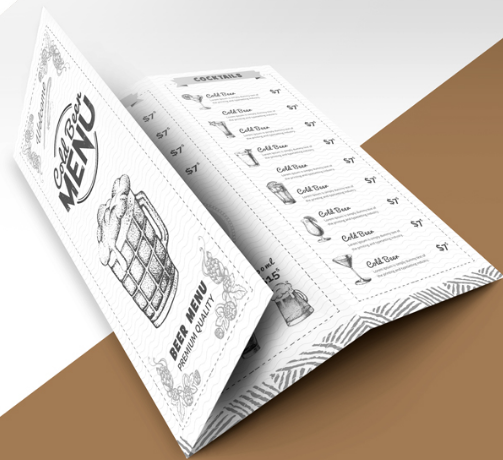 For the size of menu page, you can find templates that provide the size of the page size you want such as tri fold / bifold brochure, A4, letter and other standard/custom page size. 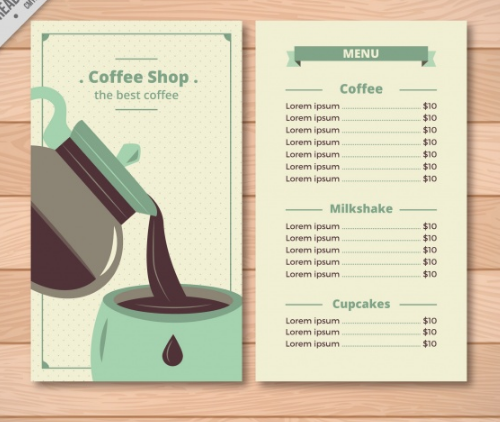 In today’s post, we present 20 gorgeous cafe and bar menu templates. Due to most free templates, you will need a little creativity to create a unique design, you can change the default color, add icons, logos, images and change background if necessary. 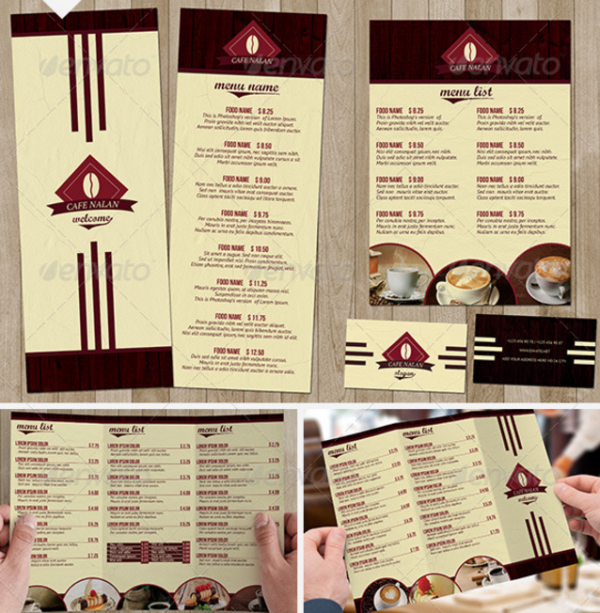 This cafe menu template come with minimalist retro style design. You can change the color and edit it as you like. 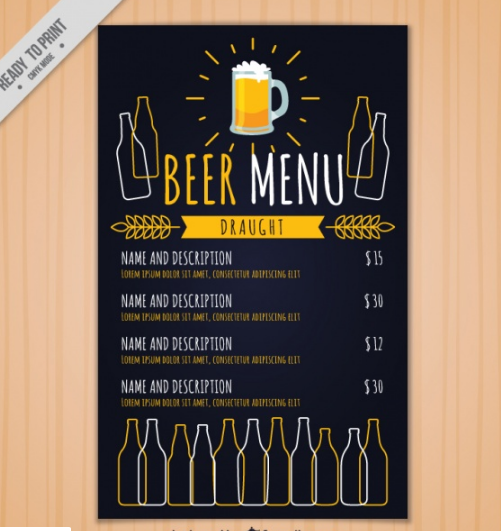 Lore beer menu is a perfect for pubs, bars and cafes business. 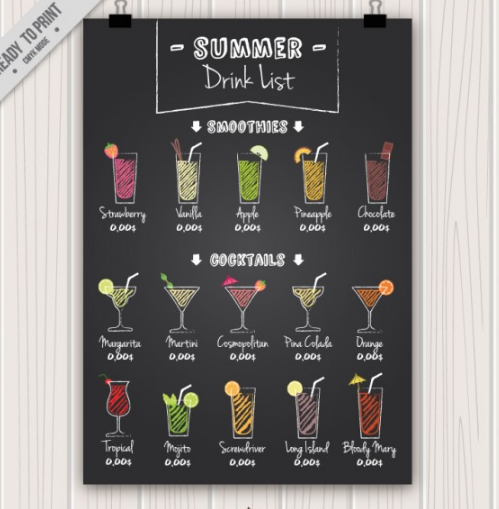 It can be printed on craft paper to give the design an artisanal look. This white vintage style brochure PSD is avaiable in tri fold brochure menu template. It’s great for bar, club, lounge, pub, disco and wine. 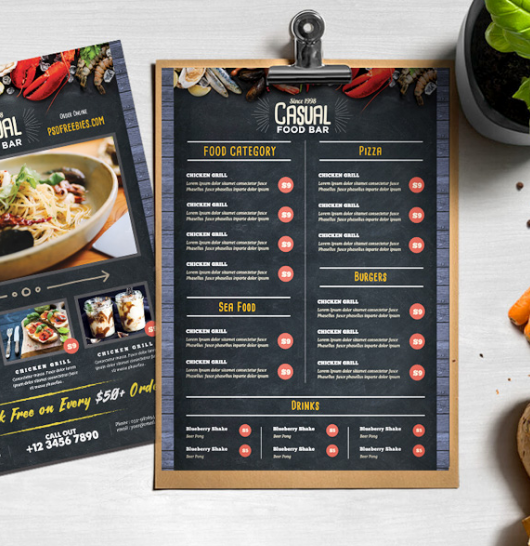 This fully editable print ready menu templates bundle available in various size; tri fold brochure templates, gift voucher, tent table and flyer. 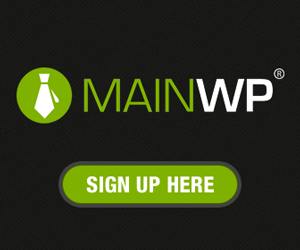 It’s useful for promote your restaurant, bar, fast food, cafe, steak house, etc. 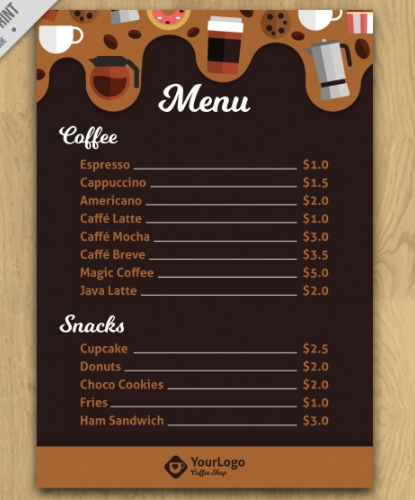 A simple and free coffee house menu design, it’s come in soft brown colored layout. 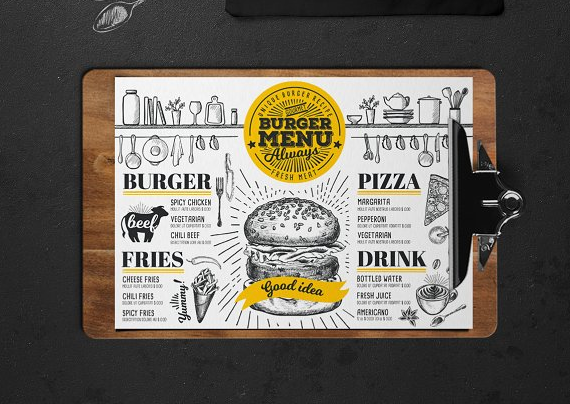 A gorgeous vintage burger menu templates (PSD / AI) that come in A4 page size, free font and easy layout customization. 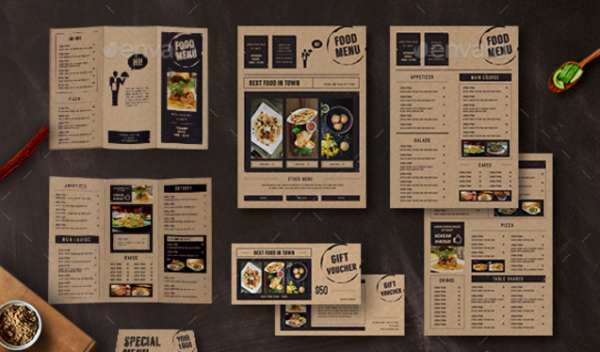 A food menu template that perfect for restaurant with simple and vintage contents. The artwork contains seafood icon and vintage style. 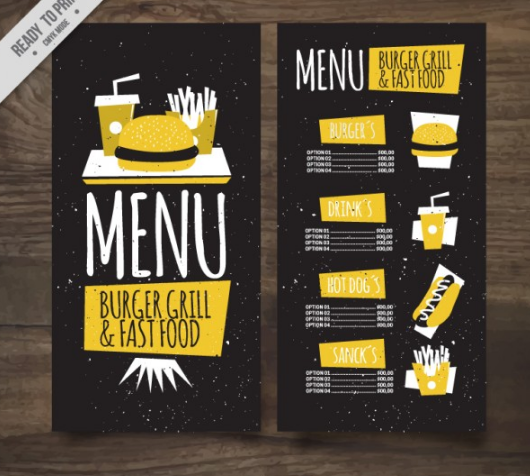 This free chalkboard style food menu psd template is suitable for fast foods, grill, italian, mexican, american food, etc. This template contains PSD file in A4 size, print-ready and customizable. 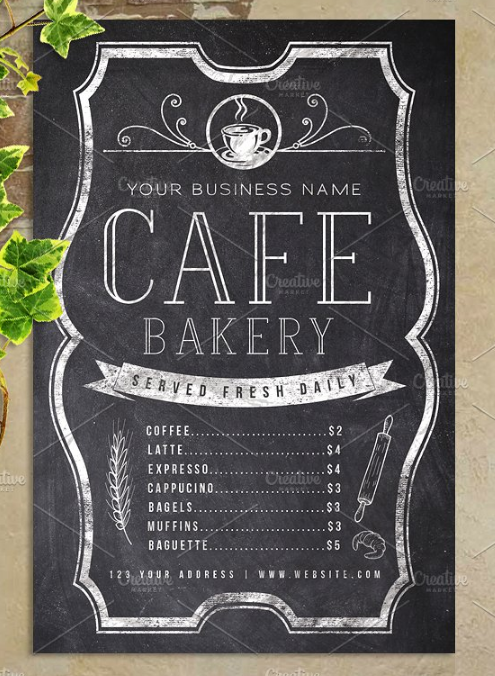 A nice chalk cafe flyer menu for small cafe and bar. All elements are vector smart objects which can be edited in Illustrator. 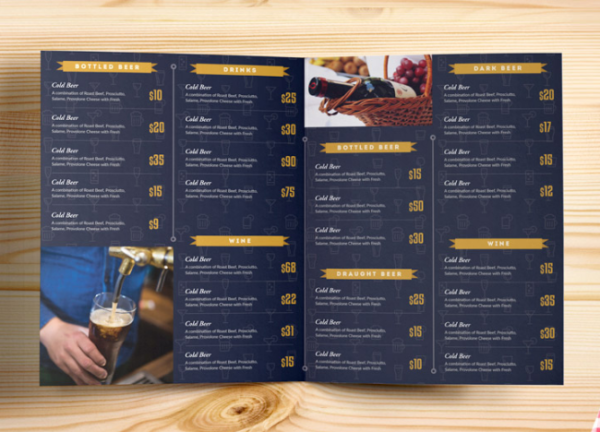 This beer and wine menu template come in bi-fold type and designed for any club, lounge, pub, disco, etc. 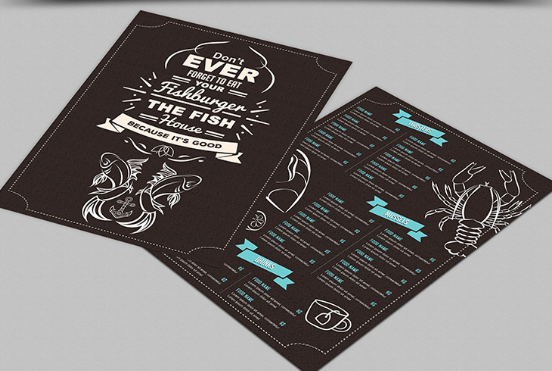 Seafood A4 Menu for your shops, cafes, restaurants, bars and other places you want to make popular and interesting for your guests. 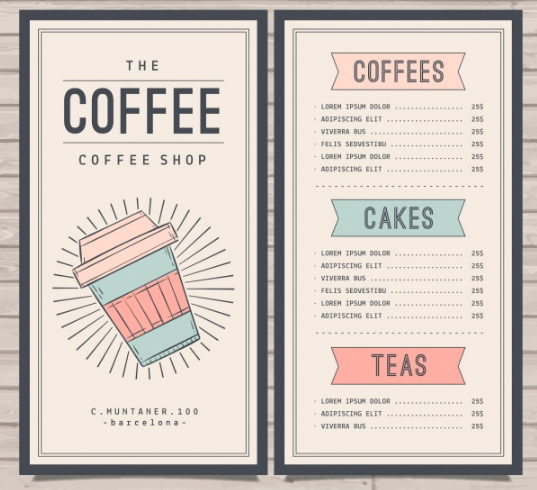 A simple food and cafe menu in 5 color schemes, well organized layer and you can edit the text and image as you like. 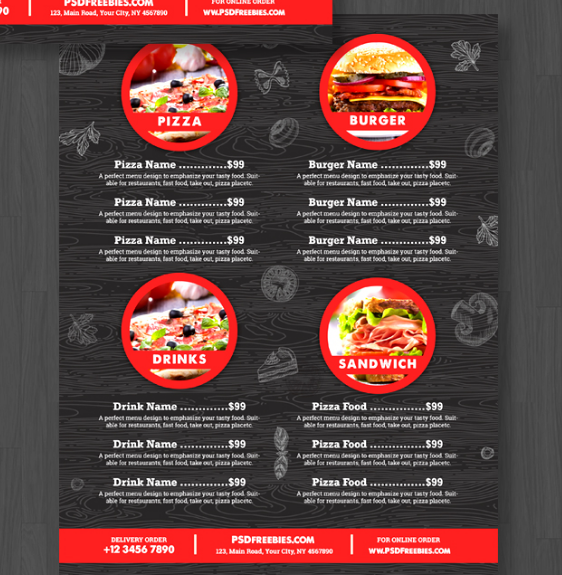 A black and red colored food menu flyer psd that avaiable in 8.5×11 Size, 300 dpi print-ready CMYK 2 PSD files: two-sided design with an elegant design. 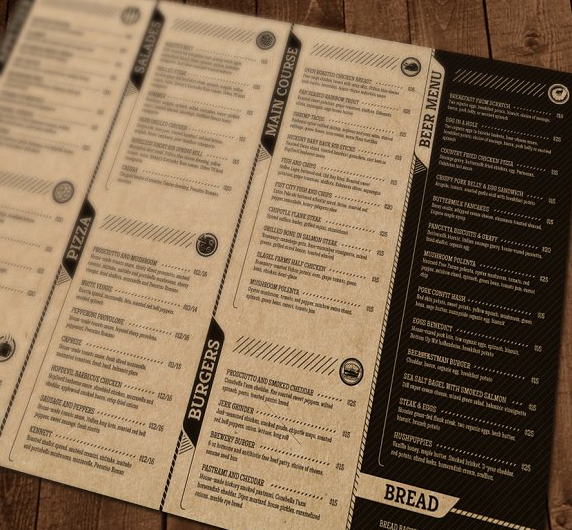 A mixed vintage and modern style of menu template for bar, fast food, drink, burger grill and other food related business.